Following its meeting with the manufacturers, the FIA has is admitted that it is open to a new power unit configuration from 2021, while seeking to improve the sound and lower the cost of existing units. The meeting, held at the FIA’s Paris headquarters and chaired by Jean Todt, was attended by a variety of Formula One’s key stakeholders, including representatives of the FIA, the new Commercial Rights Holder, current Power Unit suppliers, as well as automotive manufacturers and independent suppliers not currently involved in F1. A number of the attending automotive manufacturers were also represented by their road car arms. The meeting resulted in broad agreement for the future evolution of F1 power units, with all parties seemingly aligned in their focus on a desire to maintain F1 as the pinnacle of motor sport technology, and as a laboratory for developing technology that is relevant to road cars as well as striving for future power units to be powerful, while becoming simpler and less costly to develop and produce. Also discussed was the mean of improving the sound of the power units and a desire to allow drivers to drive harder at all times. "I was very pleased with the process, and the fact that so many different stakeholders were able to agree on a direction for the FIA Formula One World Championship in such an important technical area," said Todt. "Of course, now we must sit down and work through the fine details of exactly what the 2021 power units will be - but we have begun on the right foot, and I am looking forward to working through the process to come up with the best decision for Formula One into the future." "The FIA Formula One World Championship is committed to running the current 1.6-litre six-cylinder turbo hybrid power units until 2020," said the FIA in a brief statement. "The current units have demonstrated astonishing technological advancement, producing between 900 and 1000 horsepower, while saving 30 per cent on fuel consumption compared to previous generation engines, and approaching the magic 50% thermal efficiency number - a figure that was unheard of three years ago. "From 2021, the championship can introduce a new power unit configuration." "In fact they could probably do this next year and save us all the heartache of living with the current situation for another 4 years! It shouldn't be that expensive to re-engineer." "I recently read that VW will release the Golf GTi 7.5 later this year with an electric compressor (if I understood correctly). Even if I didn't, it makes sense? So based on that thinking it's possible for F1 to retain the "turbo" but bring back the noise. By replacing the turbine side of the turbocharger with an electric motor the exhausts exit as in a normally aspirated engine ... the noise will return. By adding an electric motor to the compressor side they eliminate the heat that the exhaust-driven turbo generates and it should be lighter. Compressor speed can be controlled via the throttle ECU to generate boost as required to replicate (improve) over the current setup. Lag would be all but eliminated as electric motors give instant torque and can spin at super high speeds that won't present problems of limitation in HP. In fact they could possibly save weight through less need for intercoolers, without the red-hot turbine to contend with? In no technical whizz, so forgive if I'm off on a tangent here :)"
"2021 - 2017 = 4 years! "Just another benign statement from FIA, that does not really mean anything. There is no magic bullet for this problem, either way it goes. Road relevance has been, for a long time, just another meaningless headline. In all honesty racing never really invented anything, but it did perfected it, and gained some serious experience in application of different materials and technologies that might have possibly migrated to road cars, but are just not plainly visible. No matter. What will be the engine formula? It will be what will all, or greater majority of manufacturers support, simple as that. Whatever that might be. What would we like to see? I am quite certain that this opinion is of little consequence to the manufacturers. If turbo charging remains, then other than using some artificial way, there will be no way in achieving a louder sound, on par with V8 or V10 era. But I see current engine formula retained in mostly unchanged configuration. There is simply no better or more efficient way to do it." "Mossman, I don't believe you're correct. ABS, for example, came from the aviation industry. I recall a (what is now) primitive traction control on heavy trucks back in the seventies. I believe run-flat tires were developed by a tire company not running in F1. If we waited for F1 hybrid technology we would still be waiting for road cars. Road cars have a longer gestation period than F1 power. 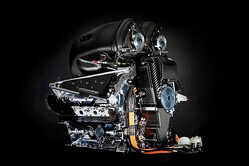 What road car uses the F1 power unit architecture? None. Road cars have offered hybrid power for many years. F1 didn't develop ABS, TC, assisted suspension, etc., they adapted them for racing. Auto companies try things out "for real" all the time. What about the auto makers not in F1 or any kind of auto racing for that matter? It is the F1 teams that do not have the resources to create vast amounts of this technology. They rely on outsiders to develop most of it, then they adopt it and refine it for their particular requirements. " "How about a power unit formula which is completely unspecified but has a max and min weight or perhaps a total energy input per race. That would allow real innovation and open F1 up to more than the "manufacturers". The most tragic statement was that the reliability of engines was "to be regretted". Surely one of the greater achievements has been building in reliability (as opposed to grid penalties for everything) to very powerful very complex engines. How about allowing any technology which has been fitted to (say) 10,000 vehicles by at least two manufacturers. Lets see ABS, active suspension, active aero, turbos and superchargers, and PLEASE sensible tyre profiles. F1 cars which are at least as advanced as current road cars, not throwbacks to an earlier age. " 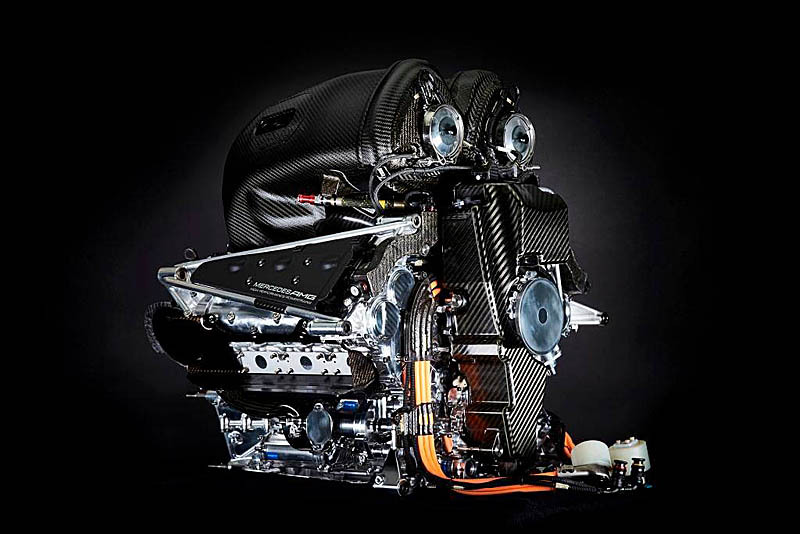 "The sophisticated, complicated and expensive 1.6-litre six-cylinder turbo hybrid power units that never will be bolted on road cars were FIA´s decision now they say that F1 need noisier and cheaper engines, WHO the hell understands them? FIA is full of ----------. LOL. It seems that by the time Honda is ready the current power units will already be obsolete and Mercedes must already be working on the next F1 PU. "Road relevance is not a goal it is a coincidental beneficiary. All of the technologies that have descended from F1 to road cars were not invented for their road relevance they were invented to win races. RACING is the goal, let the car companies gather what they will, the sports shouldn't care if they do or do not adopt any new technologies. The leadership of F1 should never utter the words 'road relevance'"
"Aaaah! The pinnacle of motorsport technology...relevant to road cars...Like ABS? Er, no, obviously not ABS. Like Traction Control maybe? Well, no. Not Traction Control as such... Computer assisted suspension where the front wheels talk to the back wheels? Or collision avoidance systems for wet weather? Or run-flat tyres? Or just about anything ALREADY IN road cars? Well no...we have to keep costs down you know. We can't go around spending tens of millions of dollars on new stuff. The search goes on...for intelligent life in F1." You do realise that ALL THOSE THINGS(*) WERE DEVELOPED IN F1... right?!? (*) Except for collision avoidance, probably. ABS and traction control were most definitely part of F1 in the 1980s, as was active suspension. Pretty sure run-flat tyres were an offshoot of tyre development in the 1970s as well. And despite everyone moaning about it, the hybrid era absolutely was a huge push behind the current hybridisation and electrification of both supercars and family cars. Seriously, F1 really has been a place where novel new automotive technologies have been created and tried out first - it's the only place where enough money can be thrown at a new idea and tested for real rather than the lab." Here is a current F1 engine 1.6L architecture question regarding the sound of F1 engines. Will the engine sound more desirable if the 1.6L engine has 8 cylinders or a V-10 architecture? Better turbo units’ integration with the main engine block and cancelling undesirable harmonics thru suppression will bring a better sound to fans need to be explored. May be an F1 engineer can answer these questions of a fan. "Just leave it as it is and stop mucking about with it." "Save us Liberty. Start a F1 with 3.5 litre tubos', make everyone even because people will bet on that, and tell the teams to fit in or .........f"
"Blah blah blah....still a battery assisted power train that will never, ever be seen in road cars. "